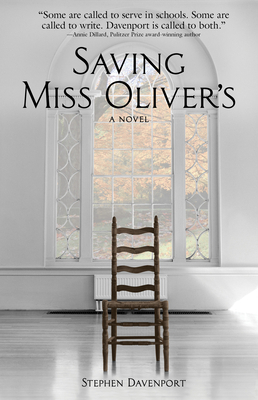 The prestigious boarding school Miss Oliver's School for Girls is on the cusp of going under. The trustees just fired the headmistress of the last thirty-five years, and the alumnae and students are angry and determined to hate her successor, the new--and male--head Fred Kindler. If only he can gain the support of the legendary senior teacher Francis Plummer, then Fred might have a fighting chance to save the school; but no one except Francis's wife and the school librarian, Peggy, is willing to give Fred a chance. With Fred's career on the line and the Plummers' marriage at stake, will Miss Oliver's survive to be the school it once was?